PMP certification requires a dedicated study and good PMP study plan to crack the exam in your first attempt. One of the biggest factors that will affect your PMP success is solving as many PMP mock exams as possible. A PMP mock exam will include several real-like PMP exam questions that will help you to see your PMP exam readiness. You can find several PMP mock exam resources on the web if you search. However, make sure the PMP mock exams you will find are compliant with the latest version of PMBOK. Otherwise, you might not get the correct results for your PMP exam readiness. After helping over 50,000 professionals in more than 180 countries with a 99.6% first attempt pass rate, we have prepared a seven step PMP study plan. Read this PMP study plan and create your own PMP prep NYC plan accordingly. We have prepared a PMP mock exam with more than 10 PMP exam questions. 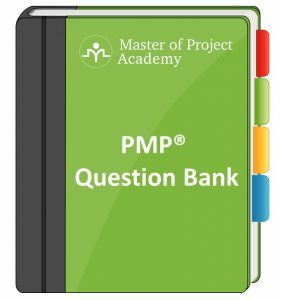 This PMP mock exam covers all knowledge areas of the latest PMBOK and typical PMP exam questions you might see in a real exam. 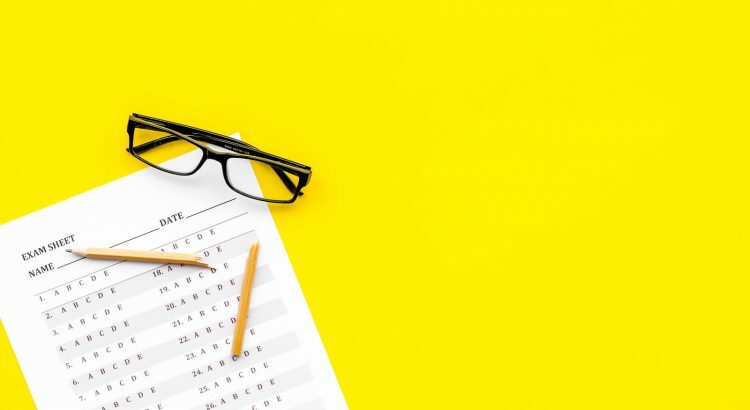 We recommend you to note down your answers on a separate sheet and check back your answers once you completed the PMP mock exam. Go over your wrong answers and read rationales to make sure you understand your weaknesses. Which of the following is NOT an example of a project success factor? At the end of phase 2, you find that you have spent $400,000, although you had planned on expenditures of $325,000. The value of the work accomplished so far is $350,000. What is your SV? In a situation where a professional contract administrator is assigned to the project, then a Project Manager . Each of the following describes the use of an ethical approach except . Did you see PMP Certification Training of Master of Project Academy? This online PMP exam prep training option satisfies the 35 contact hours project management training prerequisite of PMP certification requirements. It covers more than 300 lectures, over 750 practice questions, downloadable handouts, supporting documents, cheat sheets and several other PMP prep materials. PMP success stories of Master of Project Academy proves the quality of this PMP exam prep course. Don Wheeler is one of the several PMP success stories of Master of Project Academy. Don passed the PMP exam successfully with the PMP training from Master of Project Academy and he scored “Above Target” on all five domains of the PMP exam. This is the highest score where a PMP candidate can get from the PMP exam. You can read Don’s PMP success story. Which organizational structure is most likely to generate conflict between the Project Manager and functional managers? The project risk management processes can be summarized as . Enroll in our PMP Exam Simulator to access over 1,400 PMP questions and answers. d. Differs from quality control in that scope validation is concerned with the acceptance – not the correctness – of the work results. Enroll in our FREE PMP Overview training to learn more about PMP Certification, and how to apply for PMP step-by-step. Answer option b. Answer option b., “Delivering to Time and Budget,” is the correct answer because it is an objective. The other three options are success factors that contribute to the achievement of that objective. $325,000,” and that is the Planned Value needed to perform this calculation. Employing the SV calculation (SV = EV – PV) results in answer option a., $25,000. The fact that the money “you have spent,” your Actual Costs, is $400,000 is a distraction and not required to solve the problem. Answer option c. While an administrator may be assigned, “…it is the project management team’s (that is, the Project Manager’s) responsibility to make certain that all procurements meet the specific needs of the project while adhering to organizational procurement policies…,” as stated in the PMBOK. Answer option c. “Accepting gifts in exchange for favoring one contractor over another” is a clear case of bribery. In PMI’s view, bribery always unethical. You might want to check our 100% FREE PMP Question Bank Post as well. See more PMP example questions and double your chance in passing PMP Exam! Answer option d. Gold Plating is not mentioned in the PMBOK but is clearly stated in the Slide Presentation in the Quality Management section (Additional Information). As a rule, Gold Plating is to be avoided for one very simple reason: “when the quality of a project exceeds the specifications,” as the scenario states, the team is venturing into the dark space outside the scope of the requirements. A deliverable that is not based on documented, approved requirements is one that also invites risk that is not clearly identified, properly analyzed, or effectively managed. Answer option b. Organizations characterized as Strong Matrix and Projectized favor the Project Manager in that his or her authority is generally well-defined and, in fact, is intended to supersede the authority of functional managers, at least within the context of the project. For the same reasons, organizations characterized as Weak Matrix organizations favor functional management. However, power and authority in a Balanced Matrix organization is intended to be, as the title suggests, “balanced” between the Project Manager and the Functional Manager. Here, power and authority, even in the project context, may not be so well-defined; lines between the Project Manager’s authority and that of functional managers may be blurred and, as a result, conflict may likely arise between the two. Answer option d. “…project deliverables that are completed and checked for correctness through the Control Quality process.” See also the slide content related the Validate Scope process. Answer option d. is the correct answer. You might want to check our Sample PMP Questions post as well. PMP Online Certification | 5 Steps to Get Your PMP 100% Online!